“If President Trump acts soon, America may yet be saved. If he merely tweets and does nothing, the forces of evil will be emboldened and we patriots will realize that America is incapable of peaceful reform, and justice is dead. 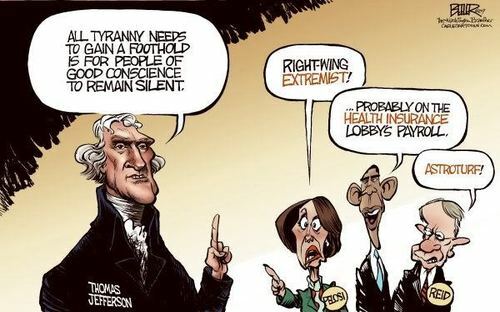 And without justice, without people at long last being held accountable for their deeds, our Republic will be no more." We’ve all heard that one, and it certainly applies to the leftist UIs (useful idiots) who continue to believe the same old lies over and over and over. But we patriots can also fall into the trap of believing a politician who says all the right things, because we desperately hope for the kind of leadership that can save America from total ruin. And we continue to hope, despite having been betrayed again and again by assorted RINOs and neocons. We sometimes forget that the Republican Party was the original home of the “progressives,” beginning with the sainted Abraham Lincoln who killed over 700 thousand Americans to increase the power of the federal government. Leftists hated Richard Nixon from the start, believing (falsely) that he was a conservative, and (falsely) that conservatism is an evil ideology. But many patriots were also taken in by him. Nixon enforced desegregation in Southern schools, a worthy goal perhaps, but also an unconstitutional use of federal power. He supported the radical feminists’ Equal Rights Amendment and the radical environmentalists’ National Environmental Policy Act, and he created the Environmental “Protection” Agency which, arguably, has been a disaster. Nixon also appointed the truly sinister globalist Henry Kissinger as his National Security Advisor. After promising to end the senseless Vietnam War he kept us involved for nearly four more years and then let the communists win. Interestingly, for those of us who suspect that we are ruled by certain ancient families, or bloodlines, Nixon was distantly related to Jimmy Carter, Bill Gates, and Ezra Cornell, the founder of Cornell University. In many ways, “conservative” Nixon was to the left of “liberal” John Kennedy. If Lincoln was “sainted” by “progressives,” many conservatives have conferred a kind of sainthood on Ronald Reagan. Like Nixon, he came from a relatively poor family, and, apparently, was a normal, decent young man. He opposed the communists in Unholywood and supported Barry Goldwater. He lowered taxes and advocated the “Laffer curve” concept in economics (the idea that, within limits, a tax cut may lead to increased tax revenue by stimulating the economy). Reagan advocated a return to the gold standard, tried to reform Social Security disability, cut Medicaid, and cut funding to the EPA. But he increased federal spending and the national debt, and, after promising not to, filled his cabinet with Council for Foreign Relations (CFR) members. Perhaps worst of all, Reagan granted amnesty to three million illegal aliens. And he appointed Bonesman George Bush as his Vice President, an act that nearly cost him his life when Bush’s old family friend John Hinckley Jr. shot him, nearly making George I President ahead of time. Reagan also sent US troops to do no one knows what in Lebanon’s confused and complicated civil war, and saddled them with rules of engagement even more insane than the ones that crippled our troops in Vietnam. Our embassy in Beirut was hit by a truck bomb, and then, since we seem incapable of ever learning anything, truck bombers hit our Beirut Marine barracks, “guarded” by men not allowed to keep rounds in their rifle chambers. Some 241 US troops, mostly Marines, and 58 French troops died in the bombings, and many more were horribly wounded, some disabled for life. The commander of the barracks and the USMC Commandant should have been court martialed and Reagan should have resigned then and there…but, as we shall see, there is no justice in America. 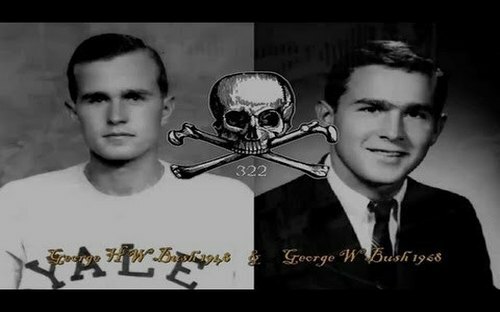 I think few conservatives were fooled at all, or at least not for long, by the Skull and Bones Bushes George I and George II. Like LBJ, Reagan, and Slick Willy, who had us bombing Christian Serbs in Bosnia to support the drug-dealing, terrorism-supporting Bosnian Muslims, the Bushes involved us in yet more pointless and illegal wars (the Constitution we used to have requires a formal declaration of war by Congress). And so now we have President Trump, a man who spoke the truth during his campaign, saying things that no other politician would say, and galvanizing the patriot movement. He has deported illegal alien gang members, reduced the insane regulatory burden on businesses, and made improvements to the tax code, which have helped ordinary working class Americans and stimulated businesses, some of which have given bonuses to their workers. His EPA Administrator, Scott Pruitt, has done much to rein in that out-of-control agency, which really should be abolished. And President Trump has made many excellent judicial appointments, giving us judges who can continue to defend the Constitution long after Donald Trump is gone. But he has continued America’s dangerous hostility to Putin and Russia, although Congress is an even greater impediment to improved relations, voting to renew our senseless sanctions on Russia. Remember that the USSR is truly dead, and Russia is relatively weak economically and militarily, posing no real threat to us…if we can avoid escalating hostilities leading to a nuclear holocaust that would destroy both our nations, and, indeed, all of Western Civilization. There is absolutely no evidence that Putin is a madman bent on world conquest. He has been accused of having his political enemies murdered, but since when are the internal affairs of a foreign state any of our business? Putin did not order the murder of Vince Foster, Ron Brown and a planeload of people, Mary Mahoney and her co-workers, or Seth Rich, or all the others left dead in the wake of the Demonic Duo (the Clintons). 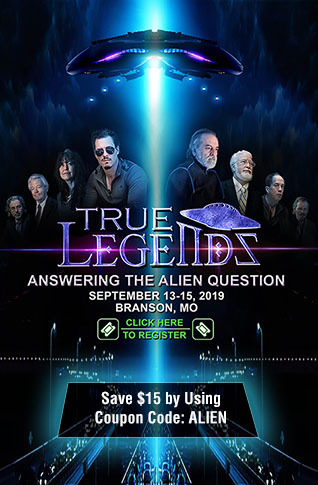 Putin did not orchestrate a false flag attack on his own people and kill nearly 3,000 of them…9/11, with its controlled demolitions and vanishing airliner (at the Pentagon) was on George II’s watch. Let us clean up our own house before we so much as criticize the real or imagined crimes of others. And President Trump has continued our unending undeclared wars; we still have troops in Afghanistan, unable to defeat a rag-tag band of fighters with no artillery or air force. We continue to support various factions in Syria and may have “advisors” there doing God knows what in a confused, multi-sided conflict. Remember that we originally supported the Islamists who became ISIS while the Russians supported the (more or less) legitimate government of Assad, who is a relatively sane moderate by Middle Eastern standards. Adding to the confusion and the risk, we support the Kurds, who are being attacked by our NATO “ally” Turkey, controlled by the Islamist Erdogan; now the Turks are threatening Greece, their long-time enemy and also a member of NATO. And we still have airbases in Turkey, and nuclear bombs there which might well be seized and repurposed by Erdogan. Our NATO treaty says we must support Turkey if, say, Erdogan started a war with Russia. Do we want to be destroyed in a nuclear war for supporting an Islamist against increasingly Christian Russia? And we have troops in harm’s way in a host of other nations, especially in Africa. But Trump’s greatest failure has been his failure to “drain the swamp.” Ideally, on day one of his administration he could have purged the State Department and the federal police and intelligence agencies (especially the DOJ, FBI, BATF, CIA, and NSA) from the top down, firing scores of the traitors and replacing them with patriots empowered to clean out the next level down, and so forth. Ideally, someone like Larry Klayman should be Attorney General and someone like David Clark should be FBI Director. But Trump appointed Jeff Sessions as AJ, and Little Jeff, with his perpetual deer-in-the-headlights expression, has utterly failed to do his duty. Trump appointed insider Christopher Wray as FBI Director…Wray is from a wealthy NYC family and attended private schools and then Yale University (is he secretly a Bonesman? ), and is, of course, a lawyer. He has refused to fire most of the traitorous criminals infesting the FBI. And Trump repeatedly tweets complaints about Sessions, the DOJ, and the FBI. Is he Commander in Chief or just Tweeter in Chief (TIC)? Tweets are all very well, but the President is supposed to control the Executive Branch. Has President Trump forgotten where the buck stops? Is he just another RINO, or lacking the courage to stand up to the vipers in the nest? 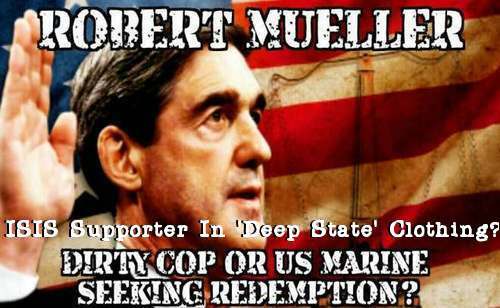 Now that Gestapo Mueller’s “investigation” of Trump’s alleged collusion with the wicked, wicked Russians (although the leftists loved the Russians when Stalin was in charge) has clearly been shown to be a joke, Trump should be able to close down the whole farce and begin investigations of Mueller himself for his kowtowing to Islamic terrorists and for his role in 9/11. 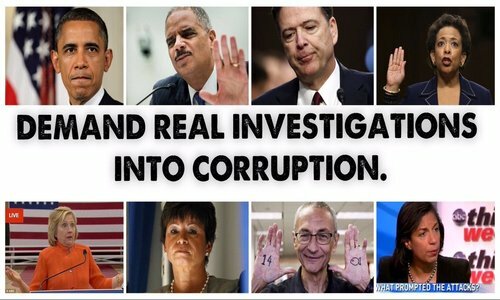 The utter corruption and politicization of the FBI has now been exposed, and more and more people are realizing that it is, at heart, a criminal organization. On top of that, many are now aware that the FBI was warned at least twice about the Florida school shooter and failed to notify local authorities, leading to yet another oh-so-convenient school shooting, a perfect excuse for gun “control,” meaning confiscation. (Eliminating “gun free” zones would be far too logical). In fact, there are major unanswered questions about almost all of our mass shootings and bombings, and the FBI has been involved in all of them…and not in a good way. We still have not been told the truth about the Las Vegas shooting; the local coroner finally released the autopsy of the alleged shooter, and the physical description of the body has no resemblance to Stephen Paddock. Conveniently, the body was (allegedly) cremated. The only “proof” we have of Paddock’s death is a crime scene photo of someone’s feet and lower legs; it could be Paddock dead, Paddock very much alive, or almost anyone. So now is the time for Trump to strike, to purge the vermin in high places. Then he could begin a real investigation of the Witch Hillary, the DNC, and all the rest. Such an investigation, if honestly pursued, would lead to ever-more shocking revelations about the crimes of our would-be masters…depend on it. But is Trump the honorable patriot we hope he is? Even if he is, does he have the will and the courage to face the howls of outrage sure to come from the Demoncraps and the slimestream media, and the increased risk of his being assassinated? If he acts soon, America may yet be saved. If he merely tweets and does nothing, the forces of evil will be emboldened and we patriots will realize that America is incapable of peaceful reform, and justice is dead. And without justice, without people at long last being held accountable for their deeds, our Republic will be no more.